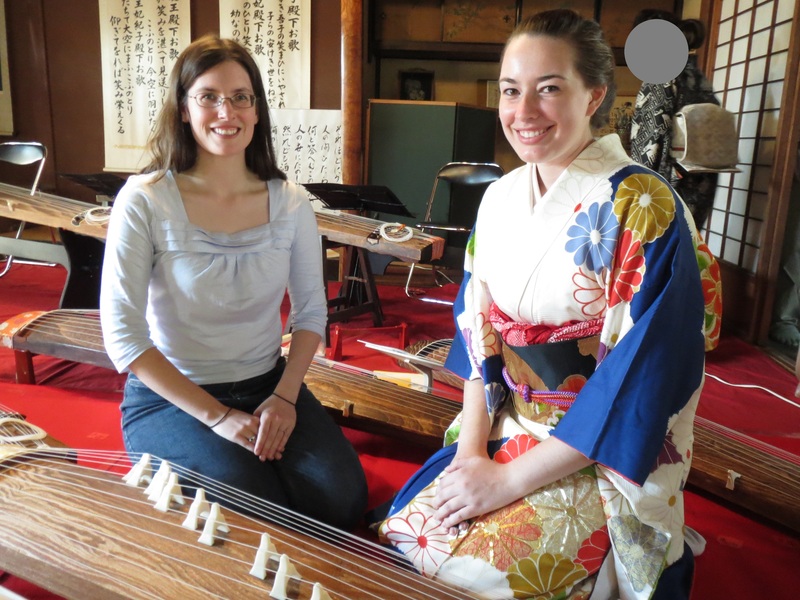 Koto Concert (AKA: A Plethora of Kimono) | Ready, Set, Kimono! 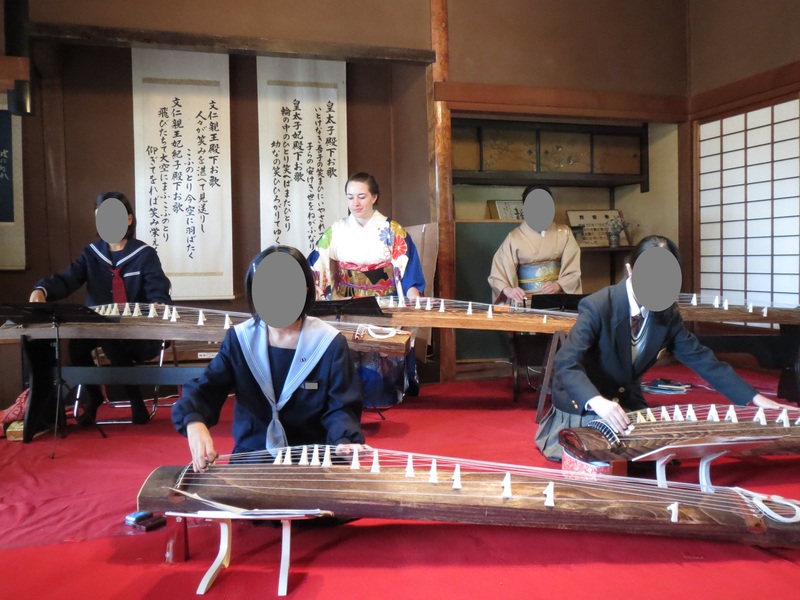 A friend of mine (and fellow kimono enthusiast) has been studying the koto for two years and had a concert today with her group. 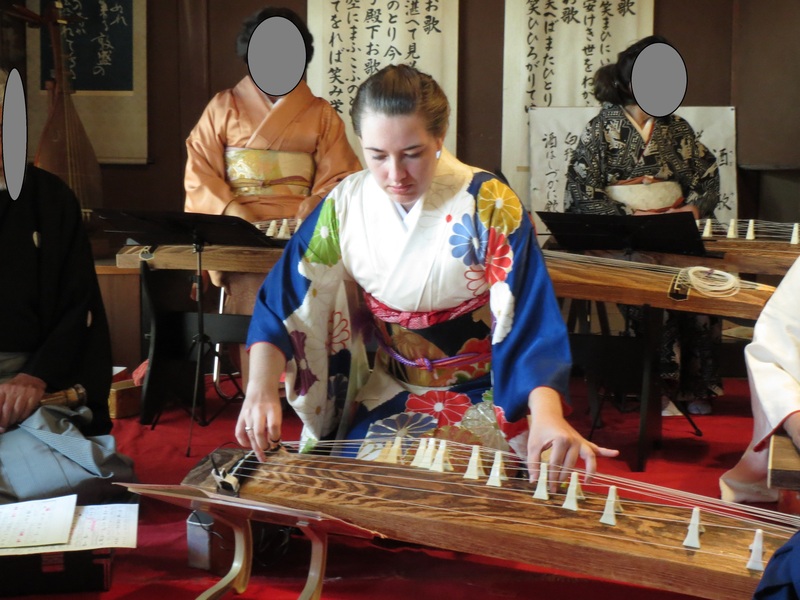 Not only was the music great, but the kimono…sooooooo beautiful! 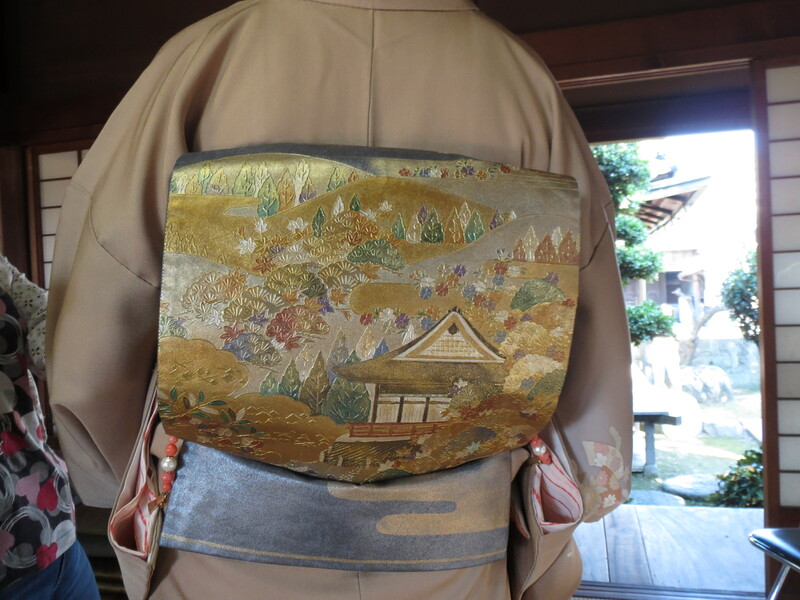 Most of the ladies were wearing houmongi, but one woman was in an oshima tsumugi and the other was wearing a gorgeous shibori kimono (maybe oshima, I didn’t get close enough to see her kimono, but the colour is right). “This is nani-nani-san. She is from America. 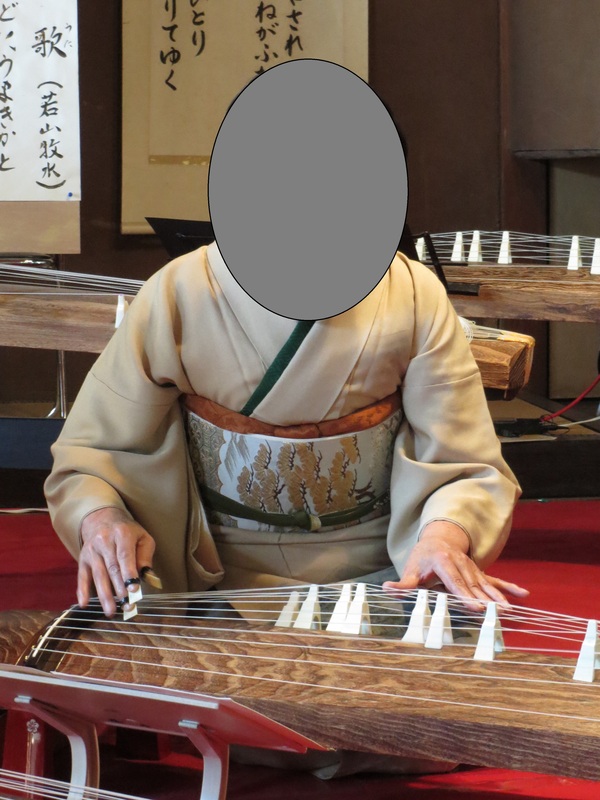 She has been studying koto for two years. Today, she is wearing her own kimono and she put it on herself. (Audience: eeeeeeeiiiiiiiiiii!!! Sugoi!) Please stand up and show everyone!” My friend then had to stand up and turn around for all to admire. 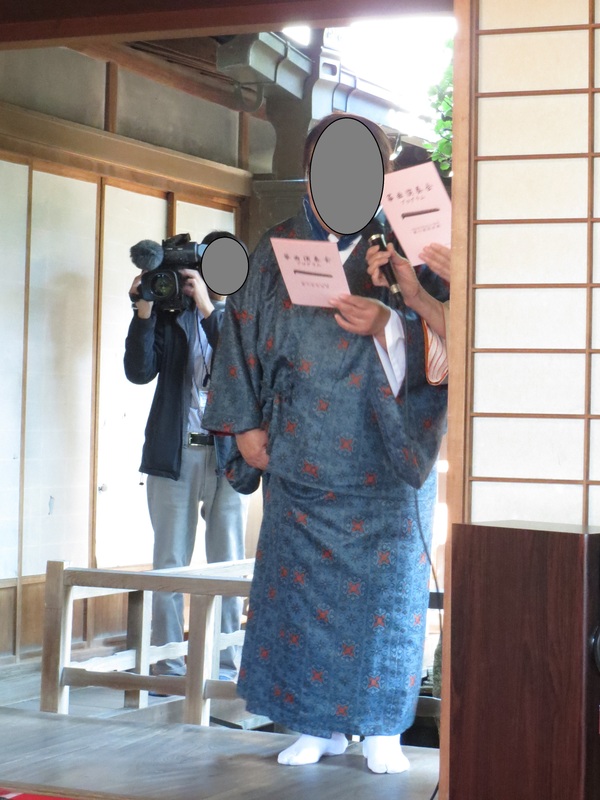 Just one more note before I show you the pictures, Japan has very strict privacy laws. 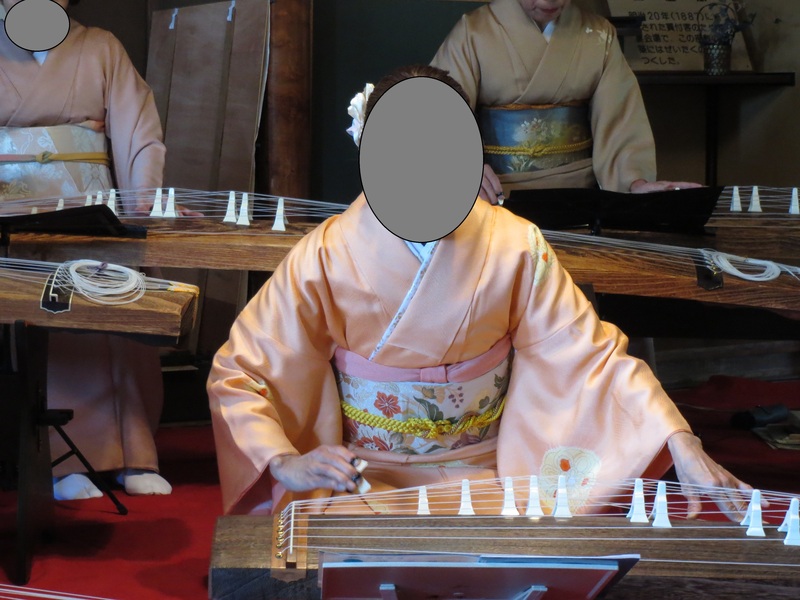 If I don’t have the person’s permission, I have to block out any identifying features which is why all the faces are blocked out. I only have my friend’s permission. 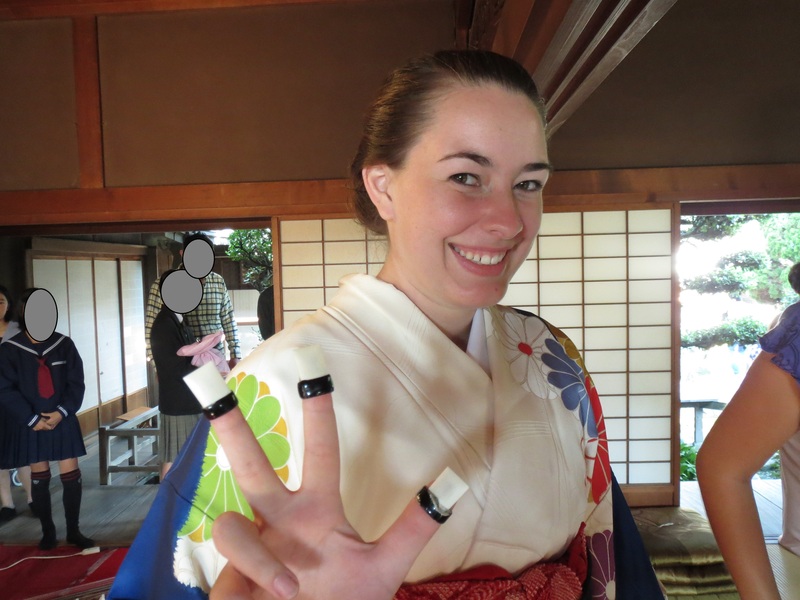 And with that being said, enjoy the plethora of kimono I got to see today! My friend with the younger members of the group and the sensei. 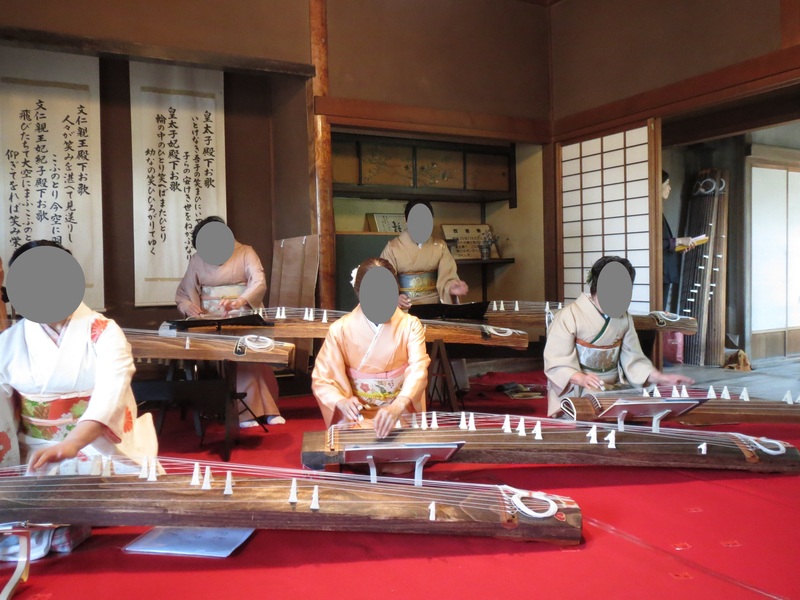 Playing the koto like a pro! This was one of my favourites. 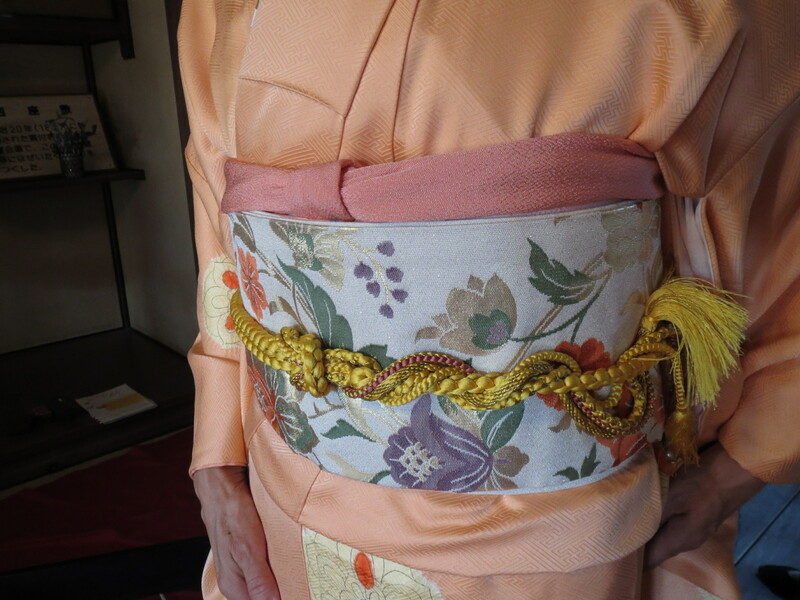 I love how the green haneri stands out against the cream kimono. 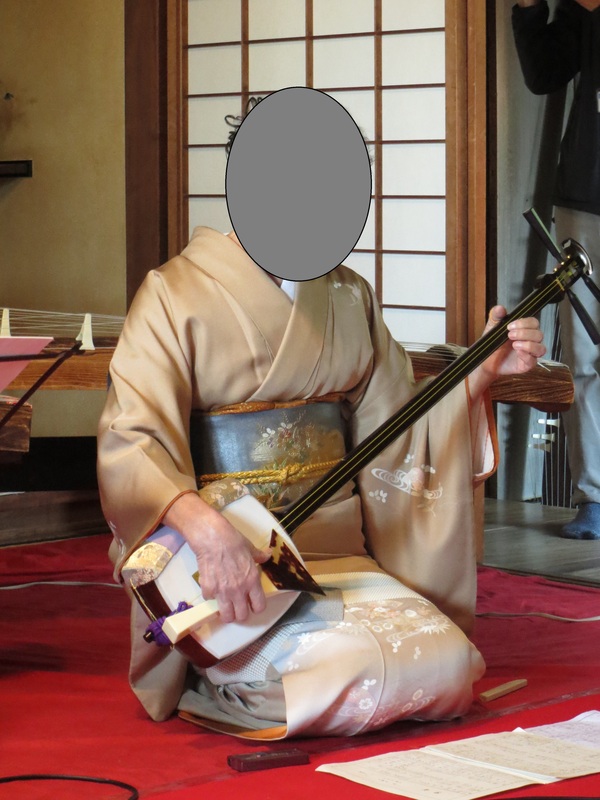 The sensei of the group playing the shamisen. 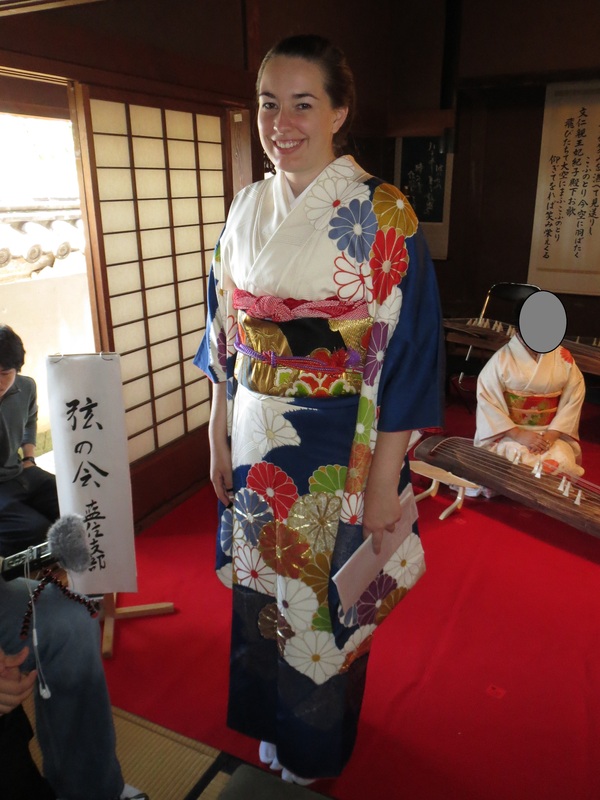 I love the way the obi and kimono go together in this ensemble. 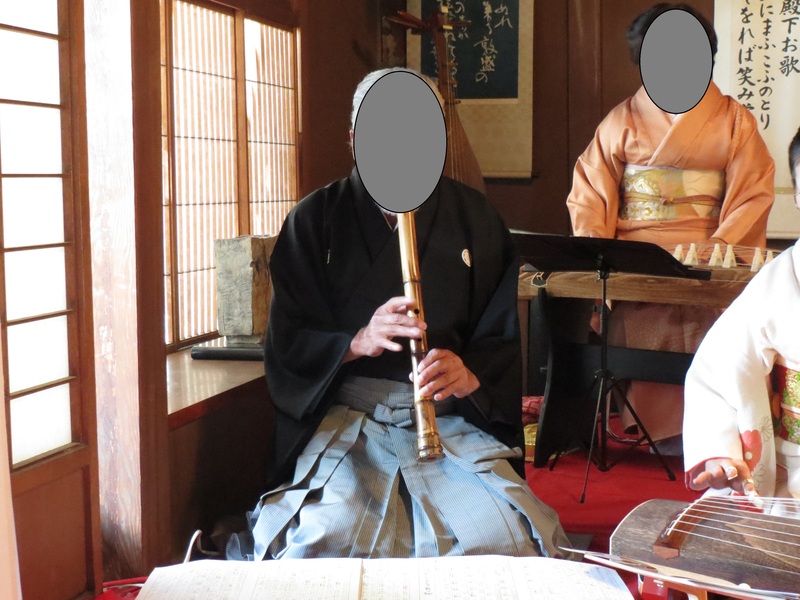 The flute player wearing hakama. He was the only man in the group. 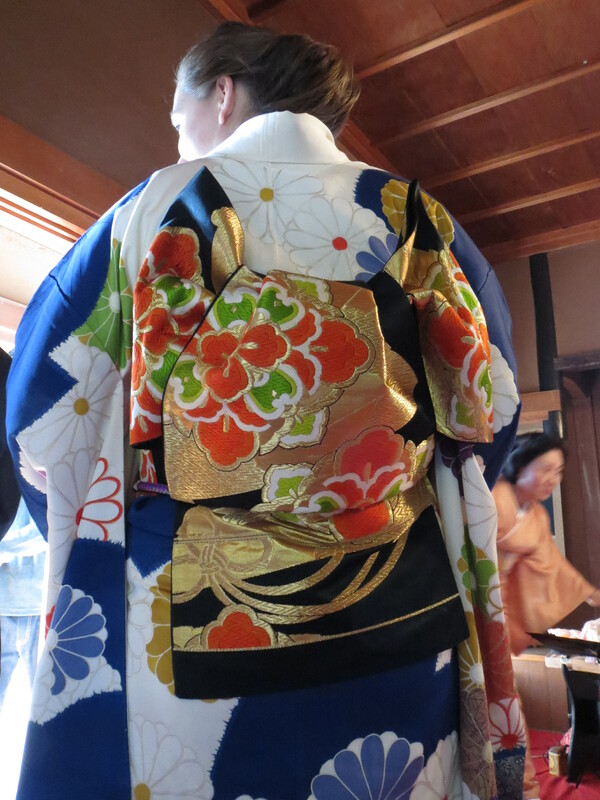 A gorgeous oshima kimono and haori set. 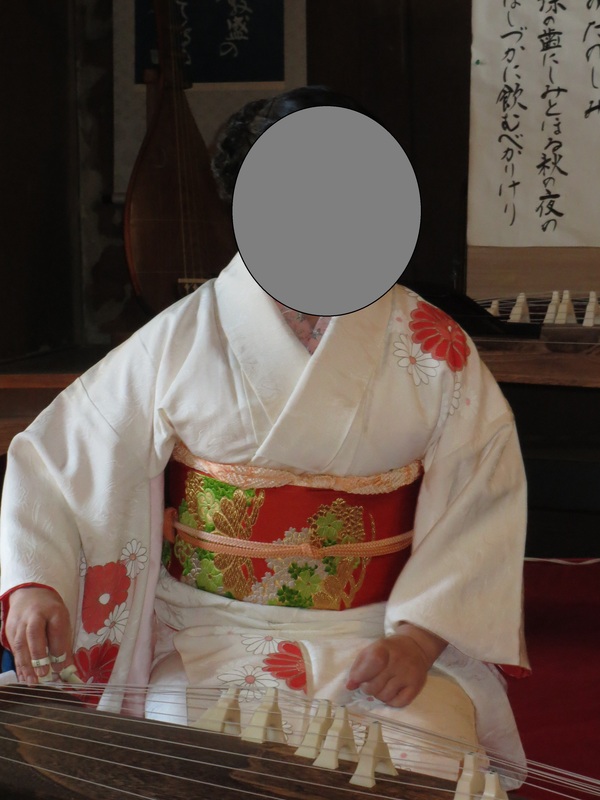 The otaiko of one of the obis. The first time the audience saw this obi, everyone (including me) was oooooing and aahhhing. A very unique way of tying the obijime. Her kimono from the front. Her group always insists that she wear a furisode because she is the youngest adult member. And her obi from the back. I think she did an amazing job. An alternative peace sign to show off the “pickers” (Sorry, I don’t know the proper name for them). She told me that they have to dip their fingers in egg white before putting them on so that they’ll stick to their fingers. I wish I could have worn a kimono to this event, but the sad truth is that I overslept that morning and didn’t have enough time to dress.